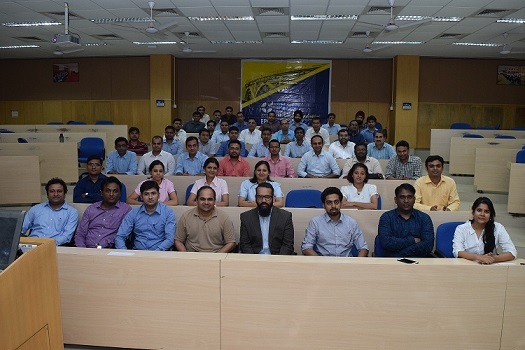 Under the Executive Post Graduate Programme in Management (EPGP) initiative—iKon Guest Lecture Series, the first lecture of the academic year 2017-18 was held on May 25, 2017. 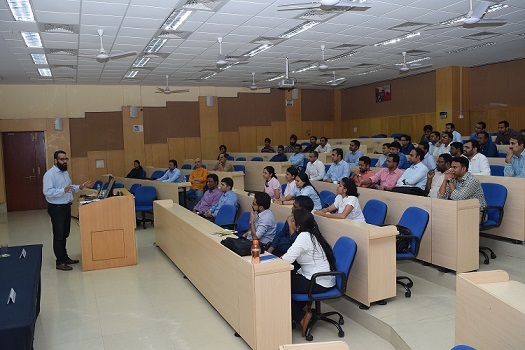 Mr. Girish Balachandran, Managing Partner, On Purpose Consulting was the speaker, who discussed on the topic—‘Future of Brands’. 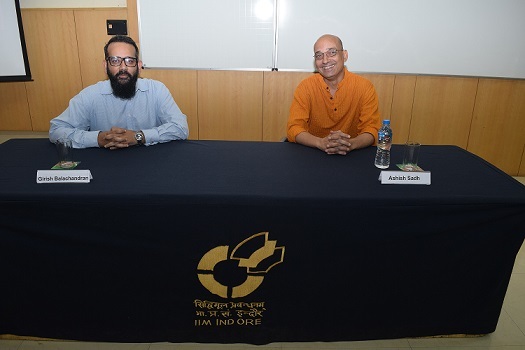 Professor Ashish Sadh, Chair, EPGP welcomed Mr. Balachandran, who delivered a highly relevant session that found resonance among all the participants aspiring to specialise in Marketing & Strategy domains. The talk revolved around topics like Creative Disruption, Fake News, Information Wars, Brand Building, etc. He began his talk discussing about brand building techniques in the era of continuous change in content and context, rise of fake news, its implications and brand building in the current scenario. While discussing the rising cult of fake news, Mr. Balachandran provided examples of fake news that spread like wild fire over the internet in last couple of months, including US elections, Brexit, Nepal earthquake, etc. Discussing what deprives people to create fake news, Mr. Balachandran noted, ‘Fake news are usually based on the trending topics, and hence get millions of hits on the website hosting these news. So mostly, its pure economics that drives these websites, rather than social or political agenda’. The speaker also highlighted on how social media giants analyse content consumption pattern, and customise content that aligns with that, in the process narrowing the perspective with only one type of ideology. 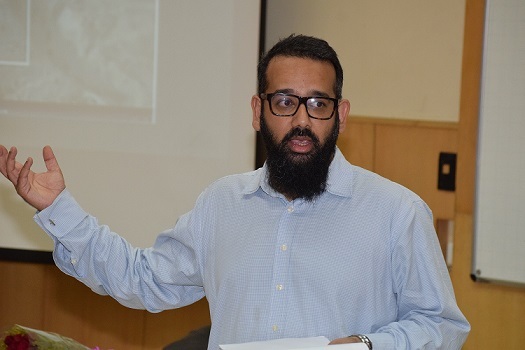 Being positively sceptical, checking the source, questioning the headlines that make big declarations, looking for validation in the story or confirming with more sources can help us stay authentic, Mr. Balachandran said. As per a data report, 90% of the world’s data has been generated over last two years, he mentioned. ‘This deluge of content has made content authenticity in the online space a rather challenging task. Combined with constant disruption and innovation, establishing brand authority and brand forecasting is becoming increasingly difficult. So, we need to be the brand that inspires. Instead of promoting products, promote emotions that can evocate your product’, Mr. Balachandran advised. The lecture concluded with a Q&A session, which helped the participants learn how to be authentic and have a voice, learn to listen to customer needs, have robust crisis planning in place, respect customer privacy and time, and lastly create a lasting concept around brand, rather than selling the product itself.